Animals are wonderful companions…but sometimes a source of nuisance odors. Managing this problem safely and effectively, without harm to people and pets, is critical. Like medical odors, animal odors can be a result of illness, old age, indoor accidents, food, bringing odors in from outside, and litter boxes. Odors from clinical treatments, surgical procedures, and boarding animals in veterinary clinics permeate larger spaces. The PPU is self-contained, air scrubbing systems designed to provide pressurized and/or recirculated air, free of corrosive gases. It is ideal for removing air contaminants from controlled environments containing sensitive computer electronics and electrical equipment. Key application areas for a PPU include control rooms or rooms housing delicate equipment: data centers, telecommunication centers, laboratories, medical testing and treatment environments, mill control rooms, and other process industries. 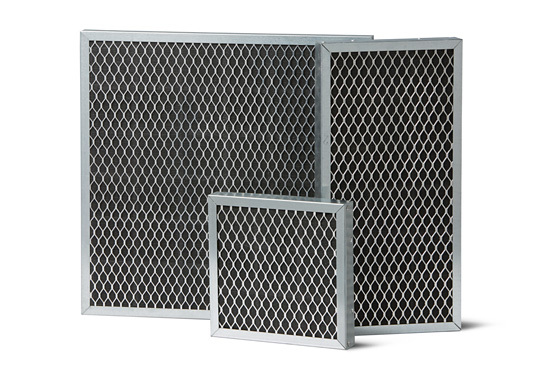 The PuraGRID® is a modern new filter design that supplies a large amount of chemical filtration with a minimal amount of pressure drop. This filter offers increased operational performance and energy savings for many indoor applications. The PuraGRID can be constructed with several different chemical medias to tailor the solution to specific needs.